If you're in the market for the absolute largest solid state drive money can buy, Samsung has your number. The South Korean technology giant is now shipping a massive 16 terabyte (technically 15.36TB) solid state drive that's also blazingly fast. 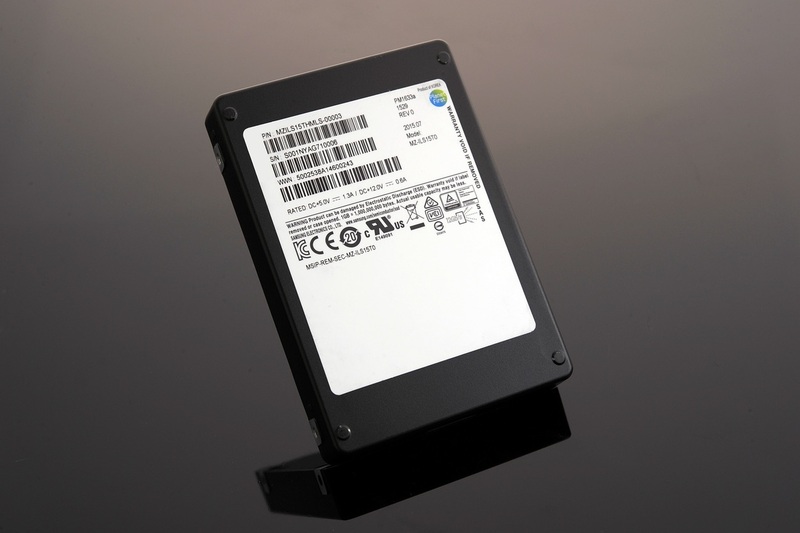 The PM1633a is a standard-sized 2.5-inch SSD that utilizes 512 of Samsung's third-generation 256Gb V-NAND memory chips. The 256Gb dies are stacked in 16 layers to form a single 512GB package, with a total of 32 NAND flash packages in the drive. In terms of performance, the PM1633a boasts sequential read and write speeds of up to 1,200MB/s. Random read and write speeds are rated at up to 200,000 and 32,000 IOPS, respectively. Samsung says it supports 1 DWPD (drive writes per day) meaning 15.36TB of data can be written every day without failure. There's also a "highly dependable" metadata protection mechanism in addition to a data protection and restoration tool that can be used in case of momentary blackout. If you haven't already guessed, this isn't a consumer-minded product as the PM1633a is based on a 12Gb/s serial attached SCSI (SAS) interface (in other words, it's primarily for enterprise applications). Pricing hasn't yet been revealed but Samsung did say it will eventually provide a wide range of capacity options in the PM1633a SSD lineup with 7.68TB, 3.84TB, 1.92TB, 960GB and 480GB slated for release later this year.